Large vacuum sculpture drip to fix on the ceiling, as a nasty infiltration of some kind. 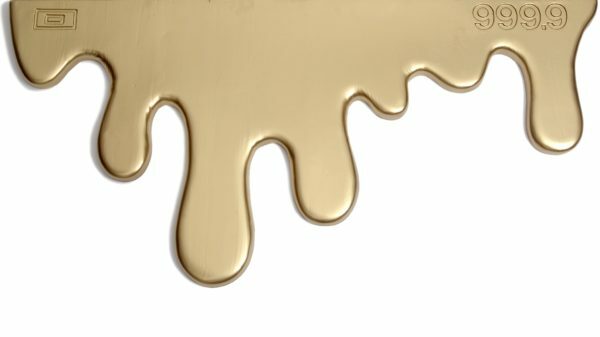 The golden one depicts a gold brick melting, and the black one referes to dripping oil (also known as ”black gold”). 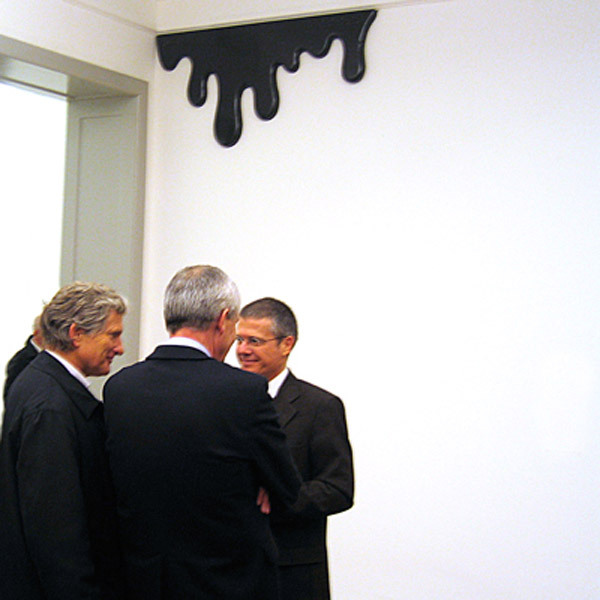 PLASTIC, group show at CABINET DES ESTAMPES, Geneva, curated by John Tremblay, 2007. Plastic vacuum-sculpture; gold pigments, signed & numbered. Dimensions: 140 x 110 cm.